Scientific Elitism Is Fundamentally Destructive To Science | Watts Up With That? Melanie Phillips’ article in The Times was highlighted with other information on WUWT that speaks to the loss of integrity in climate science and science in general. It is well-stated and germane but overlooks part of a larger problem that pervades the history of science. It involves a group that establishes themselves as the authority on a particular area of science. They then attack anyone who questions their prevailing wisdom. They control the curriculum in schools and universities and extend their control through professional societies. They establish themselves as a scientific elite who reject an idea and/or the author, thus blocking the very essence and dynamism of science. It is another form of “the science is settled” and “the debate is over.” Proponents of the anthropogenic global warming (AGW) knew that most scientists would accept without question their claims because they were the scientific elite. Most elitists in the AGW crowd were the new fangled computer modelers. I watched the takeover of climatology by the modelers. They quickly became the keynote presenters at conferences. Pierre Gallois summarized the situation with what is still true for most people today. If you put tomfoolery into a computer, nothing comes out but tomfoolery. But this tomfoolery, having passed through a very expensive machine, is somehow ennobled and no-one dares criticize it. The history of science is replete with examples of how the greatest hindrance to scientific advance is scientific elitism. Science is its own worst enemy. Even those who finally succeed in getting their new ideas accepted pay a very high price. The opposition to the AGW hypothesis confronted the political agenda and scientific elitism. As a result, science is as dogmatic as any segment of society, including religion. Judith Curry is now very aware of what happens to someone who dares to question. It is even worse if the person once supported the elitist views. The thing which the world suffers just now more than from any other evil is not the assertion of falsehood, but the endless repetition of half-truths. I was falsely accused, along with Anthony Watts, of “pushing“ Velikovsky. I was admonished for using him as a poor example because he represented “pseudo-science”. Who and how do you determine that someone or their work is pseudo-science? In this case, it is simply the endless repetition of half-truths because Velikovsky’s education and scientific affiliations don’t support the claim. Upon taking his medical degree, Velikovsky left Russia for Berlin. There, with the financial support of his father, Velikovsky edited and published a pair of volumes of scientific papers, translated into Hebrew, titled Scripta Universitatis Atque Bibliothecae Hierosolymitanarum (“Writings of the Jerusalem University & Library”). He enlisted Albert Einstein to prepare the volume dealing with mathematics and physics. The Einstein/Velikovsky correspondence is fascinating reading. Much of his discussion with Einstein involved the topic of the role of electromagnetic effects on celestial mechanics. As editor of Scripta Universitatis, Velikovsky hired Einstein to prepare the physics and math section. The attacks on Velikovsky did not influence Einstein; he knew the man and his science. As open-minded scientists, they didn’t agree on everything. For example, Velikovsky predicted that Jupiter was a major emitter of radio waves. Prevailing wisdom said it was too cold and inactive to emit such waves. When the Jodrell Bank antenna was turned on it was swamped by radio waves from Jupiter. As a result, Einstein agreed to pursue other Velikovskian claims but passed away within weeks of making the commitment. There is little doubt that the major reason for the charge of pseudo-science was his interest in and use of ancient records. The biggest sin of all was use of the Bible while trying to determine similar descriptions of physical events across different cultural references. Everybody knows that until there is data accurate in space and time, it is impossible to understand natural mechanisms. This is the same reason H.H. Lamb gave for creating the Climatic Research Unit (CRU). As a result of Velikovsky’s research, done with thoroughness and precision, he discovered anomalies that didn’t fit the prevailing sequence of events. Velikovsky searched for common mention of events within literary records, and in the Ipuwer Papyrus he believed he had found a contemporary Egyptian account of the Israelite Exodus. Moreover, he interpreted both accounts as descriptions of a great natural catastrophe. Velikovsky attempted to investigate the physical cause of the Exodus event, and extrapolated backwards and forwards in history from this point, cross-comparing written and mythical records from cultures on every inhabited continent, using them to attempt synchronisms of the historical records, yielding what he believed to be further periodic natural catastrophes which can be global in scale. This reconstruction and comparison of historical data to analyze natural events was no different than earlier examples. The use of older star tables compared with the precise observations of Tycho Brahe were used by Johannes Kepler to confirm the Copernican heliocentric system. Kepler was deeply interested in Astrology. Some observe that his three laws of planetary motion are widely separated in extensive pages of astrologic and religious reasoning. Does this make Kepler or several other prominent people in the history of science, pseudo-scientists? From times immemorial, astrology has been a determining factor in the decisions and actions of men of all ranks and stations. At the begin of the 17th century, great scientists as Tycho Brahe, Galileo Galilei, Johannes Kepler and Pierre Gassendi – now best remembered for their roles in the development of modern physics and astronomy – all held astrology in high esteem. Velikovsky didn’t espouse astrology, but he did many things that challenged the prevailing views of the mainstream scientific community. Worse, he fit many of the prevailing prejudices rampant in society at the time. A colleague and I approached the President of our University with a plan to hold a conference on the ideas of Immanuel Velikovsky. He said he would not allow anything on campus associated with that “charlatan.” The President, Harry Duckworth was a physicist and Velikovsky committed the cardinal sin of challenging prevailing scientific views. We knew through questioning that Duckworth knew little about Velikovsky or his science. He simply repeated the gossip without question. The objective of our proposed conference was to show that it didn’t matter whether Velikovsky was right or wrong. The problem was the reprehensible actions of the scientific community. Velikovsky’s treatment holds many lessons for today’s debate over climate change. The scientific communities condemnation of him was the same as today’s claim by AGW proponents that the science is settled. The complexity of the corruption by the few scientists who hijacked climate science is revealed by comparison. They quickly established their views as the prevailing “truth” through the Intergovernmental Panel on Climate Change (IPCC) by deliberately misusing climate science, but also misusing basic science. They isolated anyone who challenged either part of their false ‘offical’ science in the same way Velikovsky was marginalized. As the brief biography shows, Velikovsky was a Russian medical doctor with a lifelong interest in providing possible explanations for events recorded in historic records. As a multi-linguist, especially in ancient languages, he read original works from several middle-eastern cultures. He was on sabbatical in the US researching a book when World War II began. He stayed and produced works on what the establishment categorized as catastrophism. This contradicted the mainstream philosophical view of uniformitarianism. The latter holds that change is gradual over long periods of time and evolved from Charles Lyell and James Hutton. Darwin took a copy of Lyell’s Principles of Geology with him on HMS Beagle. Velikovsky began to develop the radical catastrophist cosmology and revised chronology theories for which he would become notorious. Why use the pejorative and subjective adjectives “radical” or “notorious”? All he did was suggest with evidence that there is another interpretation of the official evidence. His views became problematic for the science community when in 1950 Macmillan published Worlds in Collision. The book became a bestseller thus creating several problems for the science community. Here is a synopsis of issues that provide context to the threat of Velikovsky to the establishment. • He was trained in medicine, not specifically in geology or astronomy. • This meant he was not indoctrinated by formal education in specialized academic science – the bastions of dogmatism and intellectual tunnel vision. • He was born and lived in the Soviet Union; a serious problem in the McCarthy era. • He claimed that historical records were of actual events. They were similar to proxy data in climate, which suffer the same disdain from self-professed ‘hard’ climate scientists. “Even before its appearance, the book was enveloped by furious controversy, when Harper’s Magazine published a highly positive feature on it, as did Reader’s Digest, with what would today be called a creationist slant.” There it is, the dreaded anti-science word creationism. • Catastrophic events were contrary to the prevailing philosophy of uniformitarianism. • His ideas did not conform to established astronomical views on planetary motion. For example, he correctly anticipated the retrograde rotation of Venus. • He published his ideas in popular magazines and trade books that went directly to the public who might challenge official science. Galileo did the same when he published in Italian rather than Latin. • The threat was compounded when he followed the success of Worlds in Collision with another bestseller, Ages in Chaos. • Many of Velikovsky’s claims proved correct including the higher temperature for Venus; the radio waves from Jupiter; and the nine advanced claims he made in writing at the request of the New York Times before the moon landing, all of which were confirmed by the evidence. With the first reviews of the book, the publisher Macmillan came under fire from astronomers and scientists. But sales of Worlds in Collision skyrocketed, and it quickly soared to the top of the bestseller lists. Dr. Harlow Shapley, director of the Harvard Observatory, branded the book “nonsense and rubbish,” but without reading it. A letter from Shapley to Macmillan threatened a boycott of the company’s textbook division. The astronomer Fred Whipple threatened to break his relations with the publisher. Under pressure from the scientific community, Macmillan was forced to transfer publishing rights to Doubleday, though Worlds in Collision was already the number one bestseller in the country. Macmillan editor James Putnam, who had been with the company for 25 years and had negotiated the contract for Worlds in Collision, was summarily dismissed. This triggers comparison of the Climatic Research Unit (CRU) gangs activity in hounding editors and getting them fired. Macmillan was the only publisher in history who surrendered a bestseller at peak sales. Macmillan was vulnerable to Shapley’s threats of curtailing academic textbooks because that was their major source of income at the time. As with all these matters, the action is blameworthy, but the cover-up compounds the error. Shapley denied any involvement in the action. Velikovsky subsequently exposed Shapley’s role in a letter to the Harvard Crimson. The discussions between Einstein and Velikovsky centered on electromagnetism. After publishing his Theory of Relativity Einstein turned his attention to the Unified Field Theory. This is not the place to talk about the growing awareness of the importance of electromagnetism in weather and climate. It is the place to identify the openness and originality necessary for science to advance and the reaction of elitist scientists who challenge any who research such phenomena. Carl Sagan led the open assault on Velikovsky with the arrogant and scientifically elitist title book “Scientists Confront Velikovsky, which implies that Velikovsky is not a scientist. Sagan was more wrong on fundamental issues than Velikovsky. His “nuclear winter” claim proved incorrect. His claims about the temperature and role of CO2 on Venus was wrong. His claim that CO2 is causing global warming was wrong, yet like all scientific elitists he blindly ignores the facts. Instead, he belittles the person who dares to ask questions and looks at old answers in different ways. Sadly, historically, if it weren’t for such people science would not advance. It is dogmatism identical to how the church promoted and protected the Ptolemaic system for 2000 years. No matter the outcome of this long-standing battle, the time of reckoning is at hand. The voice of Velikovsky’s ghost WILL be heard. None of this is helped by Stephen Jay Gould’s snide, scientific elitist, and inaccurate comment about the mainstream response. March 5, 2016 in Opinion. Wow. you’ve outdone yourself..I now have lots of homework to do ! Thanks to both you and Anthony ! Hmmm…where best to start ! Then there are the planets in interstellar space tossed out of star systems, and the evidence that early star systems are chaotic and violent places. What about the statement that this man was raised in the Soviet Union? He was born under the Czar and grew up under the Czar and finished most of his schooling under the Czar. Not to mention that Harlow Shapley was named by McCarthy. I was not aware of all the predictions that he made that were later confirmed, not his relationship with Einstein. Thanks very much to Dr Ball, I’ll be looking into some of this in more detail. Thought email trove came from the CRU servers, the perps were not especially based at that site. It was in international group. Mann, Santer Trenberth Overpeck, many of the key players in those email exchanges were states-side from a wide variety of faculties. I’ve not read it, so I can’t speak to its content, but I came across the book “The Velikovsky Heresies” by Laird Scranton while looking into Velikovsky on Amazon. It provides recent evidence in support of Velikovsky’s theories. It does get like William Jennings Bryan’s approach of trying to supress politcially obnoxious writing. Notably, Bryan ran for president as a leftist, not a conservative. I’m not a Popperian, but any scientist who puts forth a hypothesis should, at a minimum, also state what, if observed, would prove the hypothesis wrong. My scant understanding of Velikovsky is that he did not do this. So what would prove CC/AGW theory wrong? Well first, you have to state what CC/AGW theory is …. ? …. and precisely. 15+ years of stable Lower troposphere temperatures. Read his stuff and if you are not intrigued, go on with your dull witted certainty. Making a specific prediction of say, radio emissions from Jupiter, constitutes a falsifiable proposal. There is inherent in it all that is needed to qualify it as right or wrong. He has no requirement to state anything else. It is interesting that Velikovsky and Tesla, two of the most important contributors to science in the modern world, had so much trouble with the establishment. When things they predicted or discovered are accepted by the mainstream, they are sidelined and silenced and others, as in the case of Darwin, are credited with novelty for things already published. Future historians will not be so foolish, and will give credit where it is due. The ‘scientists’ leaping on any change to discredit both religion in general (Gould, Dawkins, for example) and ancient legends as ‘all made up’ is their way of claiming that the people of old were ignorant dupes who didn’t know their own history and could not remember their own observations. That is, well, not very scientific. A single example is that somewhere in the Bible (which means ‘book, remember) it is mentioned that the sun sank in the West, rose again, and sank again, while the Earth ‘reeled as a drunkard’. There is some evidence that the Earth was hit by a high velocity meteorite at high latitude about 3100 BC which caused the lithosphere to rotate slightly with respect to the mantle. The tilt changed about 1/2 a degree, causing a 1000 ft rise in sea level at 45 deg latitude in a single day (has to do with the oblateness of the Earth’s oceans). It produced a 7 year oscillation of the pole which is still detectable and moderating today. Some say there was another minor event about 1650 BC. Both were accompanied by significant climate changes. In the former case farming all but ceased in the UK and the tree species changed wholesale. Dogger Bank went under water, as did what is now the Irish Sea. Ancient stone walls around fields are visible on the sear floor west of Wales. Just because people write and repeat old stories does not mean they are fabrications. The 1650 BC event was probably the massive eruption of Thera volcano. This is not the point. Einstein very clearly stated that if light was not observed to follow the curvature of spacetime, then Relativity was wrong. What observation will disprove Velikovsky? None? Sounds like AGW. What you stated is the opposite of what Popper means by falsifiable. A theory that proves everything proves nothing. And let me be clearer. No Mechanics (QM, Classical, SR/GR, CM) is either complete or consistent – they all model subsystems within the Universe – and they can all be falsified (meaning that they don’t play well together). They are all subject to the limits of the self-reference paradox. There might very well be additional Mechanics that can be modeled, I don’t find that too hard to believe. But any idea that they are being kept down by “the man” is nonsense. Let a new Mechanics show some applied value to satellite technology (or some such) and it will be accepted. I agree V did not produce “scientific” theory but what theory of the origin of the planet Venus can be falsified then? What theory of the origin of the solar system can be falsified? What theory of the formation of the Earth? If V was right, that does not make it science, It does make his predictions relevant though. For me the fascinating thing is that he was so often proven right in specifics even when he directly contradicted conventional views and was dismissed as a charlatan rather than included as an example of getting something right through reason,using the data available, even without scientific credentials.. The Establishment astronomers of the day were just too sensitive and self-important for that unfortunately. it seems very easy for someone to shout ‘bulldust, that’s not I was taught!’ – I hear it a lot.. the exchange is interesting though, two people come together with disparate knowledge, they may exchange ideas, they may choose to ignore one another if one side’s perspective is truly idiotic or they can fight and defend their belief. I know few rational people who would debate a moon landing hoaxer. Flat earthers can be presented with some basic information.. if they don’t get it it’s safe to assume their knowledge base is too thin to continue a discussion without having to force feed them a basic education. But let’s say you bump into someone espousing something so out there, something which seems so at odds with conventional wisdom but is built on the same foundations – I tend to find myself conversing rather than attacking them. Let’s presume though I come up with a theory that is just too strange and doesn’t fit with anything – what can I do with it to begin a discussion? I have it in my head that Dinosaurs were honking great big things, as were lots of lifeforms way back then – the conventional wisdom being the O2 levels were higher.. But my theory is Earth had a much denser atmosphere. I throw in some verifiable facts such as, we know at low pressure we need more oxygen in the air mix (space flight teaches us this) and at high pressure we need far less O2 – diving teaches us this.. I was taught at school that those big winged dinosaurs could only glide because they were too heavy.. the biggest dinosaurs resided in bodies of water, they couldn’t tread the land because they were too massy. I hear a story that Venus is so stupidly hot because of ‘runaway climate change’, but I know how pressure works and it’s relatively easy to calculate the temperature of Venus f it had one atmosphere of pressure as we do – and if Venus were stripped of 89 atmospheres, it most certainly would not be hot – that it is currently hot is simply due to the atmospheric molecules being compressed. (ask a physicist what the actual temperature of an air molecule on Earth is.. it’s REALLY hot!).. Relating this back to Old Earth it becomes conceivable that if we’d had 4 or 5 atmospheres of pressure back then those winged dinosaurs could easily fly! And the big dinosaurs would have no trouble moving on land. I also know there’s evidence of polar reversals, suggesting that while we have records of those, we’d probably have few to no records of reformations – where the poles wane but then reform in the same position.. we also do not really know how long these take to occur – nor how weak the magnetic field becomes. I theorize that with weakened magnetic strength, our magnetosphere falls too, and the solar wind blows off some of our atmosphere. Mars has no effective South pole.. that’s where it’s atmosphere bleeds away – Maybe Mars’ core has cooled a that end. Other planets – even little ones seem to have no issue with poles flipping and flopping about as far as we know – Maybe the Earth’s moons gravitation is contributing to slowing the dynamo beneath our feet. So there’s a particularly big polar shift event in the past, the Earth’s magnetosphere wanes, hiccups, starts to reform, wanes again, this drags on for a bit too long and we shed a bit too much atmosphere and bang – not enough air for the vast dinosaurs who evolved under not just a very dense atmosphere, but also an effectively much more oxygen rich one. They die out rapidly, suffocating in the new Earth atmosphere. Plants too suffer the lower effective CO2 levels, but they adapt by simply growing stunted. THis theory crosses more fields than I could study in my lifetime, but I like it.. it popped into my head not as a perverse attack on conventional thought, more just rolling fragmentary facts around and seeing how they fit together – how the heck could I discuss this with others to see if they like it too? For Sagan to get so riled up that he wrote a whole book suggests he was taking an antagonistic defensive position – but why? Was it that the books popularity incensed him? Velikovsky had a bunch of theories which crossed many disciplines, as someone who wanted to share them.. possibly to prompt further research, he could have written novels as Michael Crichton did, or he could as he did, write a whole bunch of theories down along with what evidence he had and hurl it into the public arena to spark debate. He will get some wrong, he will have missed some things, he may have got some right. That he wrote and published it not in a journal as a direct confrontation suggests he wasn’t looking to brawl.. he released it into the public forum for open minded people to toy with his ideas. Maybe he could have concocted a science fiction novel to string it all together but maybe he just didn’t have the mind or the creative spark for that.. I welcome crazy lopsided ideas seen through different eyes. I’m free to toy with them or discard them as I see fit. But for others to go hulking out and attacking the theorist says more about their character than the discipline they ‘defend’. Your right —your ” scant understanding ” is exactly that. I had the honor of reading “World’s in Collision” after my first stroke. The events he proposed were written and verbalized in many native “legends”. The stunning consistency of that record IMHO supports many of his theories. He was one of the World’s finest minds and he helped rehabilitate my mental faculties by his provocative thinking. I totally agree CB. He gave clear criteria and when his criteria were met he was ignored.Sending a space vehicle to Venus showed him right regarding thath planet, but testing was not enough to validate his theories in the eyes of Big Science. BS is not about Science but about BIG. In other words, money and power. For those interested in testing and historical oddities and conjectures, I suggest Ezekiel’s Chariot, a book about how to build a henge (as in Stonehenge) based on that book of the bible. When you are putting together an idea by reading ancient documents, there are at least two ways you could be challenged: your *conclusions* might be shown wrong (Venus might have been cold) or your *foundations* might be shown wrong (an ancient document might be translated incorrectly, or two documents thought to refer to the same event might belong to different dates). I read every one of Velikovsky’s books I could, years ago, and was impressed by his erudition, but I felt then and feel now that the dates assigned by archaeologists were too uncertain to bear the weight he needed them to. There are still “high chronology”/”low chronology” debates, and radiometric dating is not as straightforward as popular books once made it seem. Velikovsky was someone who worked hard enough at his ideas to deserve to be right. I don’t think he *was* right, but he’s at the opposite end of the spectrum from von Däniken and from certain climate scientists who have been named in this blog. Whether he was a “scientist” or not hardly matters compared with the fact that he was an honest enquirer doing the best he knew how. Charlie, your abstract should ideally be published on April 1st, but sadly, it is probably a real “research paper”, published somewhere, & earned a Doctorate for some half-wit – who is now enjoying a lucrative sinecure in a, formerly, respected university.. In this correspondence we see that, although politely stated, Einstein considered Velikovsky to be at best a crank and possibly a quack. I don’t understand this fascination with Velikovsky that you and others have. In the seventies McMaster University held a conference on Velikovsky inspired spin-offs. It was used by the humanities faculty as a science bashing frenzy. No claim was considered too bizarre. I was asked if I thought that the Burmuda Triangle was caused by black holes. Humanities looks at the world through ‘post-modern’ glasses. its inventor was an M Heidegger, (NSDAP member) who dedicated his life to ‘vernichtung’ – annihilation. I would hope Velikiovsky today can be dealt with in a more open and serious manner. His ideas are novel, and challenge the accepted wisdom, just like all the other ideas which have changed science irrevocably. Good. Does his theory make risky predictions? Are these predictions true? Does he then attempt to give a fuller picture, whilst at the same time incorporating, or improving, or contradicting, earlier solutions? In short, does he extend knowledge or confine it? Velikovsky claims there exist electro-magnetic fields in the solar system. He then says these fields have a part to play in the solution of the age old ‘perihelion of Mercury problem’. These are enormous claims, with dramatic repercussions if true; and they are one and all falsifiable. And Dr Ball’s citations (above) add substantially to the picture of Velikovsky as a sincere seeker of truth. It is now time to take back the high ground from the pomos, and declare science to be the great spiritual adventure of our times. It is an adventure in which every voice is welcome to make a contribution, conditional only on the likelihood this contribution may be quite mistaken. The irony is these dilettantes and wankers (a good Aussie descriptor) can’t even begin to fathom how they stand on the shoulders of giants like Watt, Stevenson and Tesla and the concomitant use of fossil fuels allowing them to indulge in their pseudo-science ramblings with the surplus value it’s created via taxation. They probably deserve the revolutionary fallout of Green de-industrialisation with the windmill horse and millstream, that will likely see them frog marched off to manual labour in the countryside, a la Pol Pottyism, if not a return to the French Revolution and the guillotine. All I can say is be careful what you wish for dummies. Lost in spam or moderation? Is it really necessary to believe that scientists disputed that because of claimed deficiencies in V’s education? Does anyone seriously believe it is actually true? Thought not. So what is wrong with scientists saying it is wrong? My reading of Prof. Ball’s article is this. It is not wrong for scientists to say Velikovsky is wrong, but it is wrong and misleading for a majority of them to have come to this conclusion by simply repeating the opinion of a scientific “authority.” In other words, the scientific consensus is often, maybe even frequently, the opinion of a few amplified by many sock puppets. This is not science. It is no more than dogma. I agree. “Scientists Confront Velikovsky” may be correct in its reasoning, but a more accurate title could be “Sagan Confronts Velikovsky”, and the more interesting question to answer is why Sagan felt compelled to invoke authority under the label “scientists” when he was quite capable of the task himself. Ball often expresses the same frustrations I have with science, and why I have found engineering increasingly satisfying as an intellectual endeavor over the past four decades. Mod: Did my most recent reply get sent to comment purgatory? Mine disappeared too. Maybe I’m radioactive again. Again, look at the passage I cited. Do you really think scientists have to rely on authority to know that is wrong? As for “Sagan confronts…”, it’s actually from a session at an AAAS meeting in 1974, edited by Goldsmith, so it seems a fair title. Nick, you are exactly right. I was only 12 when I read “Worlds in Collision” and, being a young science nerd, could immediately tell it was fallacious. I fact it’s the same understanding of science that allows me, now that I am considerably older, to see why AGW is also poor science. And KIlty, the problem is that when you support an obviously wrong individual in support of your views you leave yourself open to dismissal by others as being unable to distinguish real science from false science. this is especially true when you are trying to make a case for scientific elitism. Professor Bell’s case disintegrates simply through his use of Velikovsky as an example. — The use of Velikovsky’s relationship with Einstein is simply an example of the same sort of elitism that Prof. Bell is trying to argue against. Velikovsky’s claims must succeed or fail on their own and whether or Not Einstein ever worked with him is irrelevant. (If working with Einstein on anything validates everything then “97%” is a valid argument for a scientific theory. — “Even a blind squirrel finds an acorn once in a while.” Just because Velikovsky predicted the rotation of Venus or electromagnetic radiation from Jupiter says nothing about his scientific validity. Jules Verne, H. G. Wells, Arthur C. Clarke, Isaac Asimov and many other fiction writers have mentioned things which have turned out to be more or less accurate but that does not mean everything they have “predicted” will be found correct. And, by the way, their accuracy is often based on re-interpretation of the actual “prediction”. One example of this is that Verne predicted the use of nuclear power for submarines. A reading of 20,000 Leagues will show that his Nautilus was not driven by nuclear power. Thanks Nick it was good to read the whole quote. I didn’t know Einstein actually stated that Velikovsky had proved his claim of extraterrestrial.caused catastrophes. Also in regard to such; Venus is the only planet that rotates in the opposite direction to the others. The only way this could happen, given the standard view of the formation of the solar system being formed from a rotating gaseous body accreting the material into a central section and local gravitational centres (planets) revolving around that centre, would be for the planet to be inverted. This would presumably be done by a large body passing close enough for its gravitational field to effect Venus, but not close enough to shatter it. Or as V says, Venus was ejected from Jupiter and meandered through the solar system to settle in its current orbit so it was not formed in the way the other planets were. Unless, for some other reason, it stopped in its tracks and then started rotating the other way. The first explanation is simpler and more likely. The very existence of a counter-rotating planet means some kind of catastrophe, even if only for Venus. Velikovsky might be a good historian, but his astrodynamics leave a bit to be desired. Things simply don’t work in the way that he described. That some of his hypotheses match reality, i.e. Jupiter and Venus, doesn’t matter unless the why’s also match with known data discovered since. The reasons for both Jupiter’s radio emissions and Venus’ temperature are now fairly clear, thanks in,large part to space probes. Oh ? What are they . The fundamental quantitative physical equations please . I highly recommend a reading of what is the most thorough examination of historical records and writings, and the correct conclusions he derived from them before they were actually subsequently discovered. Velikovsky’s work is one of the most detailed scholarly examinations in depth and breadth you will ever have the occasion to read. If nothing else, it sets a standard for the effort that one should make as a scholar in trying to understand the phenomena of our universe. I’m in good company with Einstein in this statement. Could Velikovsky be all wrong? Well, yes he could in such a vast field of study. But the detailed support for his conclusions are not to be found in any modern enquiry into the nature of things that I have come across in half a century. The high school level of scholarship in the Global Warming adventure is not even a poor shadow of Velikovsky’s effort. The man is one of the few geniuses to visit every couple of centuries to be spurned by empty headed fools. I recommend everyone read it and ask themselves if they would be up to the magnitude of the task. A hundred people with his focus and interpretive skills would be enough to finish the work of science. @ Gary Pearse 7 ;59 pm, Thanks and also thanks to Dr Ball for an excellent description of the “Nose in the Air” attitude of so called “Scientists”, I loved that article and Gary I have read some of Velikovsky’s works, he was detailed in all of his work. I also have to add that his works were put together not with today’s instant communication, instant access to other works and with at best a slower than snot type writer or even lord a “pencil”. And just look at how today’s scientists hide behind “privilege” even when using public funds. This gentleman as you said was a genius like Tesla, they were both completely railroaded by, what we call these days, the “Establishment”. Well said Gary. Suppose we take the radio energy from Jupiter as an example. It was an outrageous prediction at the time – far outside the prevalent standard model. What happens if it is shown that Venus was the cause of a perturbation of Earth’s orbit (whatever Venus’ origin). Would that overthrow the dominant paradigm? You bet it would! In the same way that Darwin needed long constant change to drive evolution, the astronomers need constancy to ‘create’ a solar system that looks like the one we have. Finding out that things are really a punctuated equilibrium, like climate, is disconcerting to experts, and avoided in polite company. I credit Gould, with whom I carry little truck, with admitting that the green skin colour gene in two isolated Caribbean lizard populations independently developed from a single source brown lizard and that in both cases it was not an expression of a pre-existing gene. Both evolved a green colour gene in response to a greener environment, independently, and exactly as Lamark said it would. Gould proved Lamark was at least partly right and that Darwin was partly wrong. But when do we see that in texts? A later experiment (1983) showed that mice are capable of passing on to future generations genes for fighting disease they have been exposed to, that they were not born with, genes which existed neither in themselves nor their parents, but are in all their children. Lamarkism again. How correct does a scientist have to be to be accepted in a community of opponents? 50%? How wrong to Darwinists and creationists have to be to be viewed at least skeptically by their fan clubs? 50%? When an organism is able to pass on an acquired feature to its offspring it has a better chance of survival. @ Gary Pearse 7 ;59 pm, Thanks and also thanks to Dr Ball for an excellent description of the “Nose in the Air” attitude of so called “Scientists”, I loved that article and Gary I have read some of Velikovsky’s works, he was detailed in all of his work. I also have to add that his works were put together not with today’s instant communication, instant access to other works and with at best a slower than snot type writer or even lord a “pencil”. And just look at how today’s scientists hide behind “privilege” even when using public funds. This gentleman as you said was a genius like Tesla, they were both completely railroaded by, what we call these days, the “Establishment”. If this repeats, apologies. Will follow your advice and add to my holiday reading list and ebay to buy list. Well done, Tim Ball. As always, you are serenely objective and properly scientific. You are never scared of novel theories as long as they are reasonably founded. Real science progresses quietly and haltingly by individual scientists stepping out fearlessly with new theories and waiting for time or other scientists to demolish their theories. Velikovsky was to my mind a real scientist, a very knowledgeable person doing his utmost to further our understanding of reality. Of course, time (and further obvious facts) proved him very wrong in many of his theories – but so what! He should never be denigrated because of that. The CAGW debate has been poisoned by the abandonment of the Scientific Method, and being replaced by the logical fallacies of argumentum ad populum and argumentum ad verecundiam, driven by the pursuit of polical agendas rather than the pursuit of truth. Under any metric of the Scientific Method, the CAGW hypothesis has already been disconfirmed, because ALL the hypothetical projections fail to reflect reality. For the sake of scientific integrity, scientists outside of climatology will have to start exposing the complete failure of the CAGW hypothesis. lee, here’s the simple case against global warming. There is opposition between the establishment and innovators even in mathematics where one would suppose that advancements would be easily accepted or rejected based on its own internal validity. For example, when Georg Cantor came out with his hierarchy of infinities, Leopold Kronecker vehemently opposed him using all kinds of ad hominem. Today, it is standard fare in graduate-level classes treating transfinite set theory. I have silently followe @climateofgavin. He is indeed a coward. His science is shoddy at best. GISS is one of those NASA institutes so riven with deceit and bias it needs to be shut down. Could not agree more. Same goes for NCAR. The charlatans there should never have been given access to a supercomputer. I think Velikovsky is worth considering in the context of what can happen when one remains wedded to an idea regardless of the facts. But to use him as an example of punishment by the elite with regards to changing paradigms is unwarranted. A better example would be plate tectonics or the KT collision. Just because someone is ridiculed by those who themselves hold to incorrect beliefs doesn’t make the first man’s beliefs correct. The world just isn’t that black and white. As I have said before, pushing Velikovsky shows the sad state of scientific literacy, even by people who claim to be scientists. Velikovsky’s claims were garbage on their face. Find me even a single claim that were based on application of known physical laws and derived by quantitative calculation. I say “shame on you” for polluting WUWT with your nonsense. Indeed, Velikovsky is (bizarre) theory and no evidence just contrived interpretations. No real physics or empiricism and myths are not a compelling source for scientific understanding. May as well be citing science fiction for the difference it makes. Sir the one thing that I am sure of is that you will never be a famous or infamous scientist. Thinking outside the square with original thought will always allude you. It is you that should hang you head in shame for being such a boring and ignorant boofhead. Are you are referring to Dr Leif Svalgaard, for whom the Svalgaard-Mansurov effect is named? I, too, am troubled by all this. I grew up deep inside the astronomy community, both parents and both grandparents were astronomers, and this entire thing about Velikovsky is very much like the stuff about ‘canals on Mars’ which never existed. My grandfather, Edison Pettit, often talked in the 1950s how he had to draw the canals on Mars while working on this for researchers, at Mt. Wilson observatory. ‘A total waste of time,’ he said. Astronomy has attracted many a belief system over the eons and continues doing this. Seems that the more we put up satellites or send out probes or make better optics and other systems, the mental chaos worsens and the confusion grows as incoming information unsettles old beliefs. One’s hindsight is always correct, right? If they didn’t look like “canals” to him …. then why did he draw them to look like “canals”???? Allow me to share, in academia you play by their rules, or you don’t play. That is now, ……. but not pre-1950. Indeed, Velikovsky is nearly pure garbage in/garbage out. Thanks to all the satellite probes and modern optics and other systems set up in the last 100 years, we have a much clearer vision of what the universe looks like and as far as probing outside our own galaxy, we have precious little information even now. We don’t even know what lurks at the heart of our own Milky Way galaxy, for example. LS, concur. Each of us can assess the facts as we know them, and conclude whether something is more or less true. The Alvarez extinction via impact theory inferred from iridium in KT layer was not generally accepted until impact crater Chixilub was identified. Meteorologist Wegener’s 1912 continental drift paper and then books were ridiculed by geologists despite overwhelming evidence until mag stripe reversals along the Atlantic spreading ridge proved beyond any remaining doubt he was right, and the theory of plate tectonics gelled in the late 1960’s. But Velikovsky had no facts, only his interpretations of ancient myths, and a theory that required ignoring Newtonian mechanics. Not at all the same thing. Rightly ridiculed at the time, and since. Wish Dr. Ball had used Wegener or Alvarez to make his point. The defense of this post compounds the poor judgement shown, IMO. Wegener’s continental drift is not the same as plate tectonics. His marshaling of the data regarding *what* occurred was beguiling, but the lack of a plausible driving mechanism doomed the acceptance of his hypothesis. Without a plausible driving mechanism, Wegener’s hypothesis could never have true predicative value. Without predicative value, it’s just a bedtime story. Lots of pretty facts all in a row, but what do they allow us to say about how the world works? There was some speculation on a mechanism involving thermal convection in the mantle that came close to being accurate (Holmes, 1929. Transactions of the Glasgow Geological Society http://www.mantleplumes.org/WebDocuments/Holmes1931.pdf ), but Holmes characterized his own ideas as speculation because he had no evidence for them. As you note, it took observations during and after the second world war by submarines to provide a good start on the *how* and the evidence to support it. This was plate tectonics. What about a multitude of claims that were proven right when the claims based on your desired criteria were proven wrong? Should one have elitism in science? i.e.a ruling framework where the majority of scientists have as a postulate? I will argue that yes. Elitism may lead to fashions, but fashions are not elitism. Start with mathematics. Is it elitist to ask for QEDs at the end of each proposition and new framework? A clear statement of axioms and postulates and the steps taken for proof or built up of theory? The only degrees of freedom are fashions that might be adopted by various mathematical schools, and fashions belong to sociology, which I will discuss below. Mathematical progress does not exist without elitism. The scientific method started with the mathematics of euclidean geometry : proposition , method, QED and whoever cannot do that is out. Next comes in elitism comes physics. Physics is the discipline where rigorous mathematical models are postulated, with parallel “axioms” which have to fit experimental data and observations and have predictability. Physics theories are never proven, they are validated by the data. Here comes the window where the majority view can dominate the discipline, the change in postulates, the large measurement errors leave windows of opportunity, which people may challenge and find themselves marginalized. Here fashion plays a much larger role, mathematics together with the complexity introduced by data can also generate falsifiable models; often their creators, like the famous perpetual machine inventors are described as “cranks” for failing basic postulates. Still, looking back to the history of physics not much is lost, maybe delayed, maybe rediscovered later. It is elitism that has produced the rapid progress from Galileo’s time to the present peer review system. It is true though, that physics being close to mathematics is easier to monitor on whether fashions get out of hand. In my opinion, the further from the rigor in mathematics and QED a “scientific” discipline is , the larger the uncertainties in the data, the more it is fashion that controls the discipline than scientific rigor. Fashion, in society, is a collective human behavior, and there are “leaders of fashion” who are followed for a time. And the crucial word here is “leaders” . Humans in bulk are herd animals, they follow leaders. Following a leader is a strong survival trait. If the leader is stupid, decisions will be disastrous and the tribe will disappear from the face of the earth. Stupidity genes are reduced and humanity is better off. So the trait of following a leader which in the case of science leads to the accusation of elitism is a good trait, imo of course. The situation is trivial with dress fashions, serious with religions and serious in the case of scientific disciplines. BUT fashion should not be confused with elitism. I am a bit sensitive on this issue as in Greece the current government is against elitism in education, i.e. demanding and rewarding excellence in schools !! all in the name of equality . Stupidity genes? Please elaborate. Has one been identified? If not, you are guilty of assuming intelligence is genetic. And mathematical proof is valid only if you agree to the rules that say what constitutes a proof. In physics, it’s much easier, the data tells you if you were right or wrong. Have a look http://www.sciencemag.org/news/2014/10/genes-dont-just-influence-your-iq-they-determine-how-well-you-do-school . I used the term “stupidity” as the opposite of “intelligence”. Velikovsky’s historical writings are total nonsense and a complete waste of time. WUWT should not be getting involved in this sort of foolishness. But, Steve. A handful of Velocipede’s uncounted, and probably uncountable predictions were indeed later confirmed to be correct. On top of which, his many untestable hypotheses have not been specifically disproven. And as explained above – “for example, he correctly anticipated the retrograde rotation of Venus”. So, it is obvious that Mr V must have possessed some genuine extraordinary insight into the mechanics of the cosmos and the deranged antics of biblical characters and the planets. Well may you should try that exercise yourself. Taking into account the direction of rotation of the other planets and the implications of the accretion hypothesis of planetary evolution on angular momentum. Snide and sarcasm are not powerful scientific tools. O.K. Stripped of sarcasm, my point remains that a very large number of (even randomly selected) predictions will in general result in a small group of “seemingly remarkable” confirmations. The significance of those specific predictions becoming the focus of people’s attention only in hindsight, whilst the larger bulk of non-confirmed predictions are forgotten. This is equivalent to sharp shooter fallacy, except with a machine gun and the side of a barn. It would be interesting to discover whether anyone ever did make any attempt to count the total number of Mr V’s predictions. For reference purposes. P.S. I had the luxury of growing up during a time in which the accretion plus (minor and major) collision hypotheses were widely discussed, so maybe I am under-rating how radical such ideas may have been 50 years ago. But I doubt that I am. OK there is a point. I don’t regard V as reliable but interesting and thought provoking. Venus is certainly an oddball and if it is an original constituent of SS it must have undergone at least one dramatic encounter. Your sarcastic comment about Venus’ rotation seemed to imply that you thought it was obviously a 50/50 coin flip chance. You avoid my invitation to say what you think the chances are. I can recall being taught a school, quite categorically, that there were no planets outside the solar system. That always confused me. We now know that is is nonsense. What we should have been taught that there may be but if there are we would not have the means to detect them. The null hypothesis should not be that SS is unique in the universe and there is nothing but stars outside. This is probably a throwback to the Earth as the centre of God’s creation but was presented to us as scientific fact. Thankfully there are the occasional mavericks like Velakovsky that kick over a few dogmatic stones and invite us the question the presiding wisdom. Yes, you were right to pick me up on that. Of course I was being flippant. It is true that only a perfectly ignorant person would have a 50/50 chance of guessing in which direction Venus rotated. Whereas, with an understanding of the basic principles of planet formation via accretion a person would become more likely to make the wrong guess. But, the accretion theory does not account for some familiar phenomena such as the fact that the near-side of the moon always faces the earth, so we see that observed phenomena often do not fit with simplistic assumptions. On that basis an intelligent strategy for making scatter-gun predictions would be to make the predictions highly random. By doing this, the later “hits” will seem far more remarkable. Not that I am suggesting that this was a conscious strategy on the part of Velikovsky. I’m not convinced that science should dispense with an elitist disregard for the output of cranks. How much room should we currently give to the theories of Deepak Chopra? In my humble view – none whatsoever. Life is too short for us to waste our time addressing every set of extraordinary claims. AND – I am quite happy to flippantly ridicule the beliefs of Deepak Chopra. I guess that in the end, this only comes down to personal judgement. I’m quite shocked that the topic of Velikovsky was used as an example here at WUWT. I hold no truck whatsoever with the musings of Deepak Chopra. However, I am deeply in tune with his redneck brother, Sixpack Chopra. Its been a long time since I read Velikovsky and I’m relying on memory here, but I don’t recall that he predicted retrograde rotation. He did predict that as a consequence of a close encounter with Earth, Venus would have a rotational lock with the Earth (ala our Moon). It was not until 1961 that we were able to first observe the rotation of Venus with the Goldstone radio telescope in the Mojave Desert. As the observations were refined we learned that the rotation was retrograde with a period of 243 earth days, slightly longer than the Venusian year of 225 earth days. This combined rotational and orbital effect yields a Venusian day of 117 earth days. The Earth and Venus achieve inferior conjunction (closest approach) every 584 days, or exactly 5 Venusian days. This is the lock which Velikovsky predicted, and its mechanism (or cause) is still unexplained. This spin resonance is completely independent of the well-known orbital resonance of the five observed sky-paths which repeat every eight years. I wager you did not read Velikovsky. I read his work at a time when gradualism dominated “settled science”. He mainly said that the solar system had experienced great disturbances and not gradualism. Some of his evidence is still not talked about today as it can’t be explained. Steve, I am surprised to see you comment. Oh well. I read Ages in Chaos and have excellent knowledge of Bronze Age archaeology. The proposed revision (“adjustment” to WUWT readers) of dating systems in Ages in Chaos is drivel. Arguments about catastrophism do not affect the drivel-ness of Ages of Chaos. So you did not read the “testimony of the bones and stones” that he went over in “Earth in Upheaval”?!? That was his direct response to the attacks on his ideas by hidebound science. Normally you are very careful to consider the evidence presented by one of those you have a dispute with, and yet in this case you go on rumor and speculation. I read all of his books and saw much speculation along with much evidence. The sweep of his writing was so very large that one can find a lot to quibble with, but his “Earth in Upheaval” showed how horribly wrong gradualism is. But this conversation has been beneficial to me. I took down my 1953 copy of “Earth in Upheaval” and have decided to read it again after all these years and laugh at all the times he was right and modern science stole his ideas without giving credit. Thanks Steve, I agree that a better example of scientific elitism could have been found that didn’t cause the main point to get sidetracked due to the controversy over the person. In retrospect, I should have asked for a better example. Many of Velkovsky’s ideas were indeed total nonsense, but a few seemed prescient, such as the radio emission prediction about Jupiter. Yet, now, I can’t seem to find the Jodrell Bank reference Tim mentioned. So it either isn’t true, has been erased from the literature, or my search skills aren’t what they used to be. Don’t know about Jodrell Banks. Franklin and Burke at the Carnegie Institution of Washington are usually credited with this. “We are philosophically miles apart because basically we do not accept each other’s form of reasoning — logic. I am of course quite convinced of your sincerity and I also admire the vast fund of information which you have painstakingly acquired over the years. “I am not about to be converted to your form of reasoning though it certainly has had successes. You have after all predicted that Jupiter would be a source of radio noise, that Venus would have a high surface temperature, that the sun and bodies of the solar system would have large electrical charges and several other such predictions. Some of these predictions were said to be impossible when you made them. All of them were predicted long before proof that they were correct came to hand. Conversely I do not know of any specific prediction you made that has since been proven to be false. I suspect the merit lies in that you have a good basic background in the natural sciences and you are quite uninhibited by the prejudices and probability taboos which confine the thinking of most of us. “Whether you are right or wrong I believe you deserve a fair hearing. By 1955 many discrete sources had been discovered, including the radio remnant of Tycho’s 1572 supernova in Cassiopeia, and a survey giving the positions of 23 sources had been published. (2) Venus rained “hydrocarbons” on some parts of the Earth and “carbohydrates” on others. Yes, cherry picking this and that to ‘prove’ someone like Velikovsky is a genius is fraud. All theories about the universe have ranged over a wide variety of stories and explanations and this will continue as incoming information increases. The ‘start and stop rotation’ story by Mr. V was to explain the Bible stories which are all about miraculous god things. It is not serious science, of course. Yes Gary, I liked those too. I came across him in my early 20,s and bought all his books (except maybe the one by his daughter) and still have them after half a century. Having hydrocarbons fall on the middle east explains their oil wealth, and it also fell as Manna (carbohydrates) to feed the the Israelites fleeing Egypt at the time. Saying such things really stretches stretches one’s credulity. He was like an Astrologer or Psychic whose predictions or visions were only interpreted after with special skills. Nostradamus said his predictions could only be understood after they fitted (sort of) some event in the future. He didn’t know what they meant. I value my little collection of his books as a reminder of human frailties – mine included. Is PROVIDENCE for space threats a nonsense? F. Dean’s of the NASA-ESA’s International Space University proposal for Earth Shield, to SURVIVE the ultimate Damocles sword: an EXTINCTION EVENT by geomagnetic super-storm blowing up all nukes! I see Mr Ball has been hugely stung by the criticism that he pushed Velikovsky. To defend himself against the heinous charge, he pushes Velikovsky, praising his scientific and historical skills in spite of their clear deficiencies. Not least amongst those deficiencies was accepting ancient texts as recounting truths when they support his thesis and ignoring other texts that do not. A common technique amongst the pseudoscientist’s and pseudo historian fraternity. Rightly stung. Appropriate famous ‘true’ science examples include Alvarez KT extinction by impact, and Wegener’s continental drift. Velikofsky was a very poor choice, especially for WUWT. I was at the Geological Society of America conference in the early 80s when the Alverezs’ presented on their impact hypothesis. Amazingly, the crowd did not stone or crucify them. They had their facts and counter arguments against other possible explanations for the iridium layer and impact well laid out. Acceptance of their ideas was probably more than 50%. Finding the Chicxulub crater was the smoking gun that raised the acceptance level, but even after that geologists from the Mexican oil company (Pemex) still didn’t accept it or that Chicxulub was an impact crater. Who and how do you determine that someone or their work is pseudo-science? Science and pseudoscience are very different so observation of their practices clearly shows what they are. Science is a method to seek the closest possible approximation to ‘truth’ by seeking evidence that falsifies existing understanding(s) and amending or rejecting existing understanding(s) in the light of obtained evidence. Pseudoscience is an acceptance that existing understanding(s) represent ‘truth’ and seeking evidence that supports the existing understanding(s) while rejecting or ignoring evidence that falsifies the existing understanding(s). For example, the ‘cover up’ of the ‘MBH98 tree ring divergence problem’ demonstrates that MBH98 is pseudoscience and Michael Mann et al. are pseudoscientists: the ‘cover up’ demonstrates this because scientists would have proclaimed the ‘divergence problem’ as useful falsifying evidence but pseudoscientists ignore falsifying evidence. I agree with Dr. Ball about scientific elitism, which often block new valid ideas from changing the current paradigm. But, to point to Velikovsky as an example of this is contra productive. I remember I read about his theories in The Readers Digest when I was a kid, but found that nothing that I read then had any credibility. I myself am in a similar position as the research I have made, in my view, is going to be a paradigm shift and create new understanding of ENSO and climate change and as a result I was been accused of dealing in pseudoscience and that I belonged to the flat earth society by a prominent scientist in this field just a week ago, while most people were supporting of me or at least open minded. The difference from Velikovsky is that I followed where the data has taken me and that I have empirical evidence and results which can be reproduced by others. Besides my result make sense and it make CAGW even less believable. Thank you, Dr. Ball! Very interesting read; free-thinkers are very intriguing. Even when they are wrong, they may do science and culture a great service by simply challenging the existing body of thought. Thumbs up! One of your best essays ever Dr. Ball, and that is saying a lot. As a young man studying science, I read all of Velikovsky’s books and many accounts of the controversy. I had no problem with using the religious texts of ancient people since most of what we have from them are religious in nature. You use the facts and evidence you have. Carl Sagan led the open assault on Velikovsky with the arrogant and scientifically elitist title book “Scientist’s Confront Velikovsky, which implies that Velikovsky is not a scientist. Sagan was more wrong on fundamental issues than Velikovsky. His “nuclear winter” claim proved incorrect. His claims about the temperature and role of CO2 on Venus was wrong. His claim that CO2 is causing global warming was wrong, yet like all scientific elitists he blindly ignores the facts. Instead, he belittles the person who dares to ask questions and looks at old answers in different ways. Sadly, historically, if it weren’t for such people science would not advance. It is dogmatism identical to how the church promoted and protected the Ptolemaic system for 2000 years. I should also mention that Sagan’s wife Lynn Margulis experienced great attacks by being a woman offering a new idea on evolution. Her ideas were brilliant and yet this was the response … “Throughout her career, Margulis’ work could arouse intense objection (one grant application elicited the response, “Your research is crap, do not bother to apply again”), …”(Wikipedia) I have her “Symbiotic Planet” beside me as I write this and recommend it to all. The amazing thing that these controversies (and so many others) taught me was that many people will attack and argue with all their being over things they know little about. A professor attacking a book he had never read is a prime example and all to frequent. Since the history of man’s knowledge of the world teaches us that mankind has almost always been wrong, it would make sense to always be questioning the “conventional wisdom” and exploring new ideas that go against the old “settled science”. I have gone on to long already, but would add that it is amazing that Dr. Ball had the guts to write this essay. Most “educated” men in the world today believe the Carl Sagan hogwash hurdled against a fine example of an interdisciplinary researcher. You know most people are supposed to believe that even reading Velikovsky is evil. Look at the lie Gavin the Fool hurled at WUWT over a mention of the man. My friends, I am a heretic. I believe that even the “way out there” ideas help science move forward and personal attacks are the ammunition of the ignorant. Heck, I even believe that CO2, on net, cools the planet and does not warm it. With that said, I will go further and tell you that everyone should read Velikovsky to see how brilliant researchers ask pertinent questions in spite of the “conventional wisdom”. I was reading a book by Niles Eldridge I believe (although it could have been Gould) in which he admitted being part of a group of doctoral students sent by his professors to heckle and torment a visiting speaker at his university. The fellow had developed a theory that the continents move! (continental drift). Of course the fellow was correct and later scientists stole his idea, renamed it, and acted as if science had never treated this fellow is such shabby fashion. Do you know that Wegener originally thought that the continents plowed through the sea floor, like ships through water? That is a stupid idea, and rightly deserved to be ridiculed. You’ve got to show your work in science. If you reach the right conclusions, but you don’t have evidence for your beliefs or you’re using a silly mechanism to justify them, then yes, people are going to make fun of you, and rightfully so. Evidence matters. Oddly, Niles Eldridge expressed shame at what he had done that day. I suppose that either he or you are mistaken over whether the man should have been prevented from giving his talk that day or ridiculed. Even more oddly, there are some who believe that ad hominems are not a proper part of science. As a long time fan of Eldridge, I think I’ll go with him this time. Perhaps this blog would remove from itself the self-righteous claim that it does not use ad hominems to target competitors? Whether or not you agree with none-, some- or all of Piers Corbyn’s theories/ideas/predictions about extreme weather events, you cannot contend that he does not claim a central role for electromagnetism in weather and climate. That is a view expressed in this article also. It is therefore rather remarkable that this website has seen fit, more than once, to trash the personality of Piers Corbyn, for reasons more to do with politics and the role of the USA in the world than anything to do with science. WUWT has many good things to it. What it does not have is a track record of even-handed examination of the claims of those it feels threatened by……. But you have to agree, it is the best we’ve got!! A case of this kind of elite ‘oversocialization’ may be Terence Tao, a truly brilliant mathematician and probably the world’s authority on the mathematical intricacies of Navier-Stokes. By implication therefore on the mathematics of the hydrostatic equations fundamental to GCM’s. Apparently he used to link to the odd scaremongering climate site, possibly on political grounds. This was despite the fact that his work in recent years has been pointing towards some limited element of ‘blow up’ in these equations. As comments on a recent blog post of his explain in more detail (and better than I could), these would make the fundamental equations of GCM’s profoundly ‘non-physical’. A rather serious problem for those who say it is “all just physics”. That is a untrue and those that claim so clearly have been mislead or are being misleading themselves. There are some processes that are modelled in a rigorous fashion but the key processes of evaporation , condensation , cloud formation and precipitation are very poorly understood and cannnot be modelled from basic physical laws. They are modelled on the basis of guestimated “parameters”. This means that the results of model runs can never be more than the result of guestimated “parameters”. Another example of scientific elitism, and one that is less controversial: Alfred Wegener was pilloried for decades by the scientific establishment for having the temerity to suggest that the continents drift. According to wikipedia, he got the rate of drift too high, but the concept is now regarded as gospel. Science is shameful when it bans people from “the club” simply because it doesn’t like their ideas instead of defeating their ideas with solid reasoning and facts. It’s i my opinion a big mistake to bring up Velikovsky in this context. But if you do, note that the good man represent the *problem*, which is bias and faith influencing scientific research. The man was after all a dedicated Zionist with many strong motives to believe in the biblical scriptures to be true in some physical and historical sense. This was essential to various Zionist territorial and historical claims at the time. It’s hard to imagine his bias didn’t play a role when Velikovsky often opted to elevate the truth of his brand of comparative mythology over established celestial mechanics. Bringing him up in the context of climate skepticism as an inspiring example of some kind amounts to shooting in ones own foot. No matter the impressive details of his maverick research. All new ideas must be put to the test and yes, many are mocked before testing proves some theory is correct. The history of astronomy is full of misunderstanding things. For example, the canals of Mars. They never existed, they were drawn by ernest astronomers who were looking at the planet via rather poor optics compared to today when we have sent probes there and can see very clearly what is there. To this day, we have very little information about the center of our own galaxy due to the clouds of dark matter that veils it from view. Many theories abound about what lurks there. “Who and how do you determine that someone or their work is pseudo-science? If from someone’s work you can develop a test that can disprove his/her proposition then we are getting close to science. If a hypothesis is not testable, or at least potentially testable, it is not scientific. That applies as much to Velikovsky as it did to Sagan, Gould or to those heroes of the scientific community Newton and Boyle [both of whom held odd views on a range of subjects]. It’s nearly 50 years since I read Velikovsky. I keep an open mind and the one thing that truly bothered me was the “sudden appearance”, historically speaking of Venus on clay tablets (I think they were Sumerian – I may be wrong, it was a long while ago). The people who created the tablets had shown a tremendous knowledge of astronomy up to that point and it is unlikely that they had “forgotten” to include the brightest object in the night sky, as was suggested. All of the now known “not normal” properties of Venus lend some support (not evidence) that something strange is at the heart of the matter. If only a handful of his many thoughts/beliefs/predictions have some merit, then it has stimulated someone to dig deeper and create progress. This is what science should be about. Furthering the work and thoughts of others e.g. Priestley’s input to Lavoisier on the discovery of Oxygen. I prefer the “open mind” view to the “can’t possibly” point of view when there is no evidence available at the given point in time. I think too many have a “rose-tinted” view of science and scientists. They are keen to push the “scientific method” and the “self-correcting” of science but that ignores all the personalities involved. The claim is that everything is objective and that is clearly not the case if you look at some history. Einstein just knew what the right answer was, so the rather dubious results of Eddington’s famous experiment was not really a concern. The same Eddington gave Subrahmanyan Chandrasekhar lots of abuse over his black hole theory. Mendel fudged the data for his heredity experiments. He also just “knew” what the right answer had to be. Wegener with his continental drift was a pariah for about 30 years. Millikan won the Nobel Prize and he did not even get the right answer for the charge on the electron. Einstein is given credit for E=mc² but Poincare published it first. Darwin is always given credit for evolution but Wallace’s name appeared on the initial paper as well. Some believe the real work was actually done by Wallace but it was Darwin who had the connections. It is well established that Mendel did not fudge his data to fit any preconception. His result was completely unexpected. Darwin gets priority for the simple reason that his work was familiar to fellow scientists and he had produced a lengthy description of his idea 14 years before Wallace wrote with his near identical idea. There was no joint paper. Darwin’s summary and Wallace’s letter were read separately at a meeting of the Linnaean Society in 1858. There really isn’t any dispute who should have priority. Even Wallace agreed. Some things claimed as dodgy science are nothing of the kind. No one who has ever studied the history of evolutionary theory imagines that the actual work was done by Wallace. Darwin’s notebooks date from 1837, over 20 years before Wallace sent Darwin a letter. Darwin told various colleagues about his theory. Before 1844, he was afraid to publish it without overwhelming evidence. After that time, Chambers’ anonymous “Vestiges of the Natural History of Creation” showed Darwin that Church and public were ready to accept his ideas (although the popular book lacked a process for the “development” or “transmutation” of new species), but he still wanted to marshal all his vast and mounting evidence in a single book, so continued to delay. Velikovskys “Worlds In Collision” contained many assertions that were just plain loony, and easily refuted by basic science. As just one example, Velikovsky had planets zooming around the solar system like giant pin balls, with near misses of earth. The problem is this: just as we can accurately predict the position of the planets into the future, so too can we backtrack the position of the planets into the past. And when we backtrack the position of the planets to thousands of years ago, they were where they are now, in their orbits. The giant game of celestial pinball didn’t happen. Just out of interest, how exactly do we know where the planets were in their orbits 1000s of years ago? If there we no mention of Venus in historical writings, as V claims, how do we know where it was? We know where they were using (1) their current positions, (2) their current velocities, and (3) the laws of motion. The laws of motions work just as well going back in time as going forward in time. Your arguments in this regard are so weak as opposed to the mechanical-astronomical ones, that no expert will be able to take them seriously. Non-experts of course lap this stuff up. Einstein also writes to Velikovsky that finding a respectable publisher to take this “fiasco” on might be difficult. Einstein understood that respectable publishers don’t publish fantasy as science. Others have difficulty with that concept. “When Worlds Collide” was an excellent SciFi written by Philip Wylie and Wdwin Balmer in 1932. Did you mean “Worlds In Collision”? The history of science is replete with examples of how the greatest hindrance to scientific advance is human stupidity. If you are going to have open heart surgery, you want a surgeon who is the best there is, top of his profession, not some ‘free-thinker’ who does not know what he is doing. You mean freethinkers like noble, non-practicing lawyer Lavoisier, aristocrat of leisure Cavendish, bookbinder Faraday or patent clerk Einstein? Lavoisier and Cavendish studied Chemistry at University. Faraday was trained by Humphry Davy a famous chemist at the Royal Institution lab and Einstein had a PhD in physics. You need better examples. OK, if you think merely having had an education refutes those excellent examples then consider my favourite example; viz. Orville and Wilbur Wright. Those two brothers were bicycle salesmen who lacked any significant scientific education. But they devised, built and used a ‘wind tunnel’ to conduct scientific experiments that enabled them to determine the principles for a system of aerodynamic control by manipulating the surfaces of a flying machine (US patent, 821,393). With that knowledge they built and demonstrated the first powered aircraft which incorporated wings and propellers they had developed to be the most efficient then devised. The Wright brothers published their seminal work on aeronautics which explained their method called “three-axis control” that was adopted as – and still is – the standard method for the steering while maintaining equilibrium of fixed-wing aircraft of all kinds. But ‘scientific elitism’ prevented publication of that paper in any scientific or engineering journal because all ‘experts’ had the belief that obtaining more powerful engines and not viable control systems would enable powered flight. Therefore, the Wright brothers published their seminal work on aeronautics in a magazine about bee-keeping. I agree, and one of the forms of human stupidity is scientific elitism. The first open heart surgeons were most likely told by the elite in the medical profession that open heart surgery couldn’t be done and that they would just kill the patient. The quotation you cite is overwrought, no doubt, but your response is quite extreme. There are many examples of science dogma thwarting some imaginative thinkers whose work would eventually improve people’s lives–the controversy over whether or not a bacterium causes peptic ulcers, for instance. By the way, whom is the best “open heart surgeon” has an answer that is not free of dogmatism, PR, and other influences is it? Who were, in fact, competent scientists themselves. Using Veliskovsky as a shining example of scientific progress thwarted by well-known physics is a disgrace. the people doing open heart surgery by and large didn’t invent it. quite likely the skills sets are different. For example, Hamilton Naki was reportedly a highly skilled transplant surgeon and teacher, despite being hired as a gardener. Which of the two do you profess to be afflicted with? You do know that there is something like willful ignorance, don’t you? You see a lot of that around here. But you gave no examples . . rather you switched horses, so to speak, to something that has nothing in particular to do stupidity nor “scientific advance” . .
One wonders if you’ve actually given these matters any serious consideration at all . . Or, perhaps believe you don’t need to because you’re not stupid . . ? H. pylori and ulcers would have been good here. I made a reply to N. Stokes earlier which seems to have vanished in moderation, but I may as well make it again. Many people seem to interpret this post as being a defense of Velikovsky’s science. I read the point of Dr. Ball’s essay in another way. It is not wrong that scientists rejected Velikovsky’s views on basic scientific principles, but it is wrong that so many, perhaps most, did so not on the basis of their own thinking, but rather in agreement with important and influential persons. This is sock-puppetism, not science. Carl Sagan was not wrong to confront Velikovsky’s theories, but the more interesting question is why he had to invoke authority by titling his book “Scientists Confront Velikovsky” rather than something like “Reason Confronts Velikovsky, and taking direct responsibility for the task. Perhaps a better example of this is the circa 1900 controversy over the age of the Earth that pitted Kelvin and Tait against Perry, Heaviside, and practically any geologist. Kelvin was dead wrong as we all know, but the modern version of this is a whitewash excuses Kelvin’s sloppy thinking through the excuse he was ignorant of radioactivity. Nonsense. Kelvin was dead wrong on basic principle. Heaviside showed that Kelvin’s thermal argument rested on very narrow interpretations of data, and that other, more reasonable assumptions would arrive at an Earth of nearly any age. Kelvin’s authority alone kept the more reasonable parties in this debate on the defensive for a long time. Mod: I keep trying to reply to this thread, but one reply after another disappears. What’s up? Mod: I see you found reply number one. Thank you. Could I ask you to look for reply number two? If there were no “free-thinkers” there would be no open heart surgery, no heart transplants, no stents, no valve replacements and lots of dead people. These people were experts in their field. It takes experts and knowledge to push the boundary of the known and of the possible outwards. Dilettantes, no matter how ‘free-thinking’, just won’t cut it. You are generous. EV was world class quack. I don’t know much about Velikovsky, but I did read Worlds in Collision as a teenager and thought it fascinatingly nuts. What with rampaging planets, near collisions responsible for oil deposits, a young Venus hatched from Jupiter, and all in historical/mythological time, it reads like bad science fiction. I don’t think there is any reason to reevaluate my early opinion. I agree. I am staggered that Tim Ball — or anyone — gives Velikovsky serious consideration. I particularly liked how petroleum was supposed to have seeped into the cracks in the earth. As any petroleum geologist will tell you, conventional oil deposits as are found in the Middle East are under impermeable layers of rock, often many miles down. It’s just childish. Right on. But I can’t seem to add anything beyond that. rabbit, and lsvalgaard. You are both clearly misunderstanding what is being said. Someone with expertise in physics will see the defects in that area but will be impressed by the historical or biblical sections. The expert in history will see the defects in that area but will be impressed by the astronomy. Similarity for the biblical scholar. I have heard people make exactly these points. The second effect is that having been taken in by Velikovsky, people are very reluctant to admit they were conned and will double down so to speak. We see the same thing in the AGW fanaticism with the added political and monetary incentives. Unfortunately the ability to detect these flaws in others rarely brings personal wisdom. Velikovsky and Erich von Däniken are two peas in a pod, the main difference between the two being that the latter was a conscious con artist and the former was so hopelessly ignorant he was oblivious to his delusion. He probably has no parallel in quantity of BS published. His understanding of the Bible was that of a child’s, as was his understanding of literature in general, including Swift. He thought Swift’s invention of two moons of Mars in approval of Newton was evidence of pre-Galilean telescopic astronomy. Artiagfosterjr, Artificial satellites were put on orbits very recently and the orbits are nearly circular within hours of the rocket launch. How well do you know Newtonian physics to be certain that capturing Venus (whatever its origin) by Sun was impossible to occur, say, N thousand years ago? Tell me what is the minimal value of N that Newtonian physics allows for. Well, those satellites were put up there by humans who controlled the thrusters. As for Venus, you must postulate a series of near impossibilities: 1) capture, 2) rounding of the orbit, 3) tidal braking. It might be possible for the planets to bring a comet into an inner planet orbit but it would require a compounding of such unlikely events that it has probably never happened, let alone been observed. And the outer planets could bring a planetoid into an an outer orbit without seriously altering the orbits of the great planets until the planetoid was destroyed by collision. But there’s no way for the big planets to bring a planetoid into an inner planet orbit, and the only way the earth and Mars could do it would be by disrupting their own orbits. The situation would end in collision. Not only does Venus have a nice round orbit (with little eccentricity), but it shares the ecliptic (and orbiting direction) along with the rest of the planets. It took hundreds of millions of years of aggregation to create a bunch of planets from a disk of orbiting debris, free from all but minor future collisions. The introduction of a new planet of nearly the earth’s size would have thrown the inner solar system back into chaos. And Quackakowsky claims this happened only a few thousand years ago. And Venus settled into a nice round orbit (impossible), in the same plane (and direction) as the rest of the planets (highly improbable), and became gravitationally locked on to the earth and sun (without explanation–tides couldn’t do that in a 100 million years). Who knows, maybe my previous reply will show up at some future time. I’ll say it again in different words, just for practice. 1) Critical biblical scholars don’t take the Hexateuch (a 19th century term that includes Joshua) at all literally. The Flood account is chock full of inconsistency and irrational nonsense, e.g., enough water came through the “windows of heaven” to float the ark on the top of the highest mountain. Then all the water disappeared. The rain cycle is not recognized until Ecc 1:7 –in Hellenistic times. 2) The orderly solar system is explained by the slow aggregation of the primordial debris disk; smaller pieces progressively bang into bigger ones until new craters become rare and critters safe–most of the time. 3) The introduction of an earth-sized planet would throw the system back into collision and chaos. Creation would have to start over. 4) Venus shares with the other planets a) an orbital plane, all going in the same direction of course; and b) nearly circular orbits. Venus shares with Mercury a gravitationally locked in rotation rate. This makes Venus a sister planet of long standing. It is no late comer. 5) EV understands none of this, the combination of circumstances, each nearly impossible or completely impossible, required for his fairy tale: capture, in the ecliptic, with minimal eccentricity, and tidal braking. Can’t comment. Are we shut down? It may simply be that comments containing the name of a certain controversial fellow automatically go into moderation. If scientists hadn’t followed their hunches, sometimes going against the current, 90% of humanity would still be toiling away with their hands, just trying to produce enough crops to survive. Come to think of it, isn’t that where the Green movement wants to send us back to? V was not a scientist in any sense of that word. It takes knowledge of a field to extend the field. Ball seem to suggest that to make progress one just have to disagree with mainstream science, no matter how silly one’s ‘theory’ is. Darwin was neither a biologist nor a scientist in any sense of the word. He got a sort of general studies degree (with a pathetic grade), and yet he revolutionized Biology. The author is correct that people sometimes mistakenly discredit polymaths out of hand. Instead of always asking if someone followed orthodoxy, we should be asking whether what they assert about nature is true. Darwin was widely recognized as a scientist long before the Origin. He was elected a Fellow of the Royal Society in January 1839, based on his youthful contributions to biology and geology. His reputation was so great that Wallace addressed his letter to him rather than any other worthy recipient. Darwin was technically a citizen scientist, since a professional employed by an institution, but definitely a highly respected naturalist nonetheless. True, his degree was in theology, but he had previously studied medicine and learned from prominent practicing scientists at both Edinburgh and Cambridge. After graduating from Cambridge but before joining HMS Beagle, he worked with Sedgwick in conducting a geologic survey of Wales. He was recommended as Beagle’s naturalist by well-regarded Cambridge botanist and geologist Henslow, whom the Royal Navy had offered the position. As the son of a wealthy man, Darwin was afforded the opportunity to receive a education in medicine, but he flunked out before long. By the way, Velikovsky studied medicine at the same school where Darwin had failed, the University of Edinburgh. But where Darwin had failed, Velikovsky succeeded and became an MD. Darwin loved the outdoors, loved to explore, hunt and collect insects and rocks–and he was wealthy–so he was allowed to follow real scientists around on their field work, and this is how he made his mark on science. So, these two men differ in that Velikovsky was an educated 20th century scientist and polymath, while Darwin was a 19th century naturalist, a nice hobby for gentleman who didn’t have to work to support themselves. By the way, here are few more details about Velikovsky. “[Velikovsky] studied medicine, science and other subjects, e.g. philosophy, ancient history and law at the Universities of Montpellier (France), Edinburgh (Great Britain), Moscow (Russia) and Kharkiv (Ukraine) in difficult circumstances caused by the discrimination and persecution of the Jews as well as the political and war-related chaos of the time. “After getting his M.D. in Moscow in 1921 he emigrated to Germany, where he founded the scientific journal Scripta Universitatis in Berlin. In this project he came into contact with Albert Einstein, who was editor of the mathematical-physical section. This project, furthermore, laid the foundation for the Hebrew University of Jerusalem, the presidency of which was offered to Immanuel Velikovsky. Darwin didn’t flunk out. He switched “majors” from medicine to theology. There is no shortage of historical accounts in which Darwin’s life is polished to a beautiful sheen, and that practice is common for followers of such people whose contributions are hailed. It doesn’t matter. The facts are the facts. Tested for automatic censorship: negative. Lovell thought there were canals on Mars. Obviously not a scientist! What do each have in common that excludes each from objective science? They have all their essential necessary observational facts not in evidence; they are stuck in the realm of ‘pre-science’. I think there is a tie for worst attempt to mimic science; it is between (#4) CAGW / Harmful AGW hypothesis and (1) Velikovsky’s hypothesis that mythological / biblical sources show the evolution of the solar system. No, the opposite is true, and obviously so, I say. It’s those who claim the universe (and life) just popped into existence, who try to market their religious beliefs as “objective science” . . as you just did (by inference). Why do you require that the universe had to have been created? I did not do so. That the universe was created is not a established premise. Present day information war people would recognize what Velikovsky did as a disinformation campaign. A very effective one to create dissonance in scientists and degrading thought processing in a surprising number of people. There are occasionally interesting researchers and empiricists on the fringes of what’s accepted as possibly science, who have altered my level of acceptance of their view. But Velikovsky has never been in that category, well short of it (and I really can’t justify offending my brain that much). 1) Advanced mastery of b#llsh*tting. 2) Dignification of pristine world-class b#llsh*t deposits. 3) Demonstrated ingenuity in cutting-edge time wasting technique. You’ve described the ‘dangerous AGW’ scare exactly! You said in ‘JohnKnight on March 6, 2016 at 5:32 pm’ that “No, the opposite is true, and obviously so, I say. It’s those who claim the universe (and life) just popped into existence, who try to market their religious beliefs as “objective science” . . as you [John Whitman] just did (by inference)”. You said I said or inferred the universe and life just popped into existence. No, I did not. You presumed I needed the universe to begin (pop into existence). I did not. Why do you think the universe needs to begin? It is an unestablished premise. Life is part of the universe. I say your #3 is a reversal of the truth, sir. I think that my #3 is a subjective thought pattern of pre-science and therefore is not objective and therefore not science knowledge; it is in that regard like items #1, #2, #4, #5 & #6 . It is irrelevant to objective science. Someone gave me a copy of V’s book decades ago but I’ve never read it so I can’t say anything about V in particular. From one perspective this thread is somewhat irritating. But from a social science of science perspective this thread has brought out some good points. 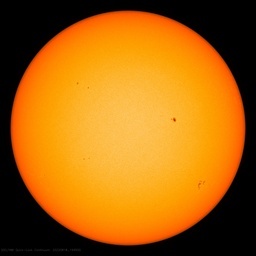 Since this is supposed to be a science site and not just an AGW site, I think this thread is valid. I enjoy Tim Ball’s posts very much but on many occasions I am tempted to point out that Tim should stick to the topic he knows best and when he strays on topics he should double check the facts. This will make his main points sound much more credible. WUWT pushes rescuing DIALOGUE on “Worlds in Collision” too, that may SAVE even providence deniers, who push CENSORSHIP that may lead to kill them first. What is safer, most readers and humans can easily support! I just can’t believe that Dr. Tim Balls message has been lost on so many people and that the debate has run off in a totally different direction with many people looking at things with hindsight to make them think they are smarter. It makes me realise there are a lot of seemingly intelligent people that really aren’t. So is that Settled then? Maybe the earth is flat. You may think you are intelligent but I haven’t seen you try to counter Tim Balls message as you have just latched onto EV like a dog with a bone. Thank you, Mr. Ball, for the excellent article. Velikovsky may have been wrong on many specific details, but I think he was making an honest attempt to understand ancient writings and myth. Perhaps some of you who are so quick to criticize him should try this yourselves, as he did, rather than simply relying on the accepted teaching of your time. I would agree that there are heaps of evidence of catastrophic/cataclysmic events in ancient writing as well as in geology, most of which are simply ignored by researchers working from within a uniformitarian tradition. Those who believe that only newtonian mechanics govern the cosmos would do well to examine some of the evidence of electromagnetical effects in space as well. Velikovsky WAS wrong on many specific details, details he needed to get right for his main claims to be credible. Or maybe he had an agenda (e.g. proving the Biblical account of Exodus) and cherry-picked or misinterpreted ancient myths and made up his own physics to further that agenda. Life is too short to investigate every seemingly crackpot idea personally. I once read two of his books with an open mind and found them fascinating but unconvincing, largely because of his sloppy chemistry and lack of numbers in his physics (Einstein put numbers on his predictions). Now his ideas have been around for sixty-odd years and are still pushed by true believers, yet neither his physics nor his revised historical chronology have entered the mainstream. That tells me it’s very unlikely his main ideas are correct. When you have the extraordinary proof his extraordinary claims require, get back to me. Thank you Abe for that cogent summary — totally in the spirit of Ball’s point. Just what do you claim EV got right? Any of you scientific elites know why we are getting substantially more Auroras in the UK than previously? Last night was really spectacular from North Wales. Yes, this is an effect caused by the residents of North Wales consuming their vast stocks of so-called “legal highs” in advance of the implementation of the Psychoactive Drugs Bill a.k.a. blanket ban on all psychoactive substances, at the end of this month. This consumption of stockpiles is particular to N. Wales because, as many visitors to N. Wales can testify, the N. Wales police force is known to be over-zealous in its attention to the precise letter of the law. Whilst you yourself are unlikely to have consumed any specific non-excluded substances (with the exception of the psychoactive amines contained in mature cheddar), the effect of mass consumption is transferred through the “morphogenic field” (I refer the reader to the works of Sheldrake and Chopra) and hence, even non-consumers are now experiencing hallucinogenic lights in the sky. The experience of subjective consciousness remains mysterious to science and so my theory is likely to remain forever untestable. Hence, I am assured in declaring that it is correct. If anyone would like to offer me a book deal then I can expand my baseless declarations on this and related topics to several thousand words. I coped ok with the lights, it was the Dragons ( Ddraig Goch) which were the problem. Many people see fairies we see Dragons, big ones, because our delusions are also elitist! It is always difficult to challenge beliefs. Some are passed on with mothers milk, others await a formal education. The central premise must not be challenged because that is the foundation of “accepted/consensus” science. For instance, we all know that the surface of the earth is just a thin skin floating on a sea of magma because that is what we have been told. We don’t know if it is true, but that model has gained acceptance and explains the observations. Any deviation from this model would bring ridicule from people both high and low on the spectrum of education. Even if the burden of proof were to be satisfied, breaking through the wall of belief would be nearly impossible since the power of publication, grant allocation, and theoretical acceptance lies with those operating under the delusion of belief. As for Velikovsky, he didn’t have the scientific education to ossify his thinking. He deduced many things from observation and research. As climate scientists, you people will believe a core sample to contain the truth but deny many and varied historical accounts that agree? Do you also deny the little ice age because there are myriad written accounts but few physical proofs? Velikovsky was right about the universe being electro-magnetic in nature. Everything operates under the force of electrons. The electrical force is reckoned to be 10 to the power of 36 times the force of gravity. It operates alone on the atomic scale and in concert on the macro scale for us to move objects with our fingers or set certain (learned) neurological pathways that lead to denial of simple fact. Even to writing antagonist rebuttals in support of ones own ideas. Electrons do it all. Some of the comments show the ignorance of their author. For example, the claim that V was not a scientist by any measure, contradicts his formal education and life work. He worked and communicated extensively with Einstein on matters of science, in particular electromagnetism. Einstein had no problems with his credentials or abilities, and if he is good enough for Einstein he is good enough for me. Then there are those who ask what predictions he made that were correct. This only confirms they never read his work or subsequent discoveries and discussions. If they did they would find his predictions that flew in the face of the then scientifically held wisdoms. Here are two quotes to illustrate the point. One wishes the IPCC and even many of the so-called skeptics commenting here achieved such predictive accuracy. I suggest these people read the last line of the letter from Professor Hess. It is the very definition of indoctrination. My main point is that you can make up your own mind about V and his work, but please do it after you have read the man’s words and work. If you then disagree with his work explain why from knowledge and reason. Please do not join the shameful attacks and destruction of the man – the nasty ad hominems that are the weapons of such cowards. Indeed, you should actively condemn such behaviour rather than join the carping chorus. I was shocked when the CBC recently described Velikovsky’s work as largely discredited and left it at that. This was an article we were not allowed to comment on which was a shame. I have nothing but admiration for the man. My point is…think outside the box…catastrophe is not impossible and is recorded in many extinct civilizations around the world. The accounts do not say exactly the same thing but are very similar. Modern catastrophism theory is still a viable area of study. I would urge all people to review the evidence and never close their minds. Leave the consensus behind…all it causes is trouble. Some correct predictions do not make a scientist. Velikovsky’s reasoning was non-scientific. The scientific elite was not wrong to show up Velikovsky’s egregious errors and it is hard to see why you feel the need to defend him. Again. For those not in the know, large parts of the above article appeared at Dr Balls’s website in 2011. Word for word. “The temperature and pressure inside Jupiter increase steadily toward the core, due to the Kelvin–Helmholtz mechanism. At the “surface” pressure level of 10 bars, the temperature is around 340 K (67 °C; 152 °F). At the phase transition region where hydrogen—heated beyond its critical point—becomes metallic, it is calculated the temperature is 10,000 K (9,700 °C; 17,500 °F)”. He got one and was found wanting. You totally fail to see that you are looking at things with hindsight compared to him and give him no respect for all the research he did. You display the reason Tim Ball tried to bring the original topic up in the first place which was totally lost on you because you are blind. mikebartnz, perhaps you could explain why V seemed to think it was significant that “cold” Jupiter’s atmosphere was “in motion”. Even before we knew much about Jupiter, we knew it received energy from the Sun and it had a gaseous atmosphere. Why wouldn’t the atmosphere be “in motion”? Maikebartnz, as I understand it, TIm Ball is saying that “the authorities” often impede scientific progress by summarily rejecting new ideas that may contradict current understanding, without a “fair hearing” so to speak. He uses the treatment accorded Velikovsky as an example of such prejudice, while not endorsing Velikovsky’s claims. He could have used other, possibly better examples, such as continental drift or the ionic theory of Arrhenius, but that’s his choice. Is that a fair summary, or have I indeed missed the mark? Personally I think “elites” or “authorities” are needed, at least to some extent, to filter the deluge of pseudoscientific crap that would otherwise occupy the time of real scientists or delude laymen who are too busy earning a living to acquire the extensive specialized knowledge required to properly evaluate pseudoscience. Or to put it another way, extraordinary claims do and should require extraordinary evidence. Continental drift and ionic theory survived the “elites”; “worlds in collision” did not. The difference was evidence. Note that Anthony has banned certain fringe subjects at WUWT, and I support him. Life is too damn short. BTW, note that the idea of catastrophic anthropogenic global warming (CAGW) was at one time “the new kid on the block” yet was NOT blocked by the “elites” (as Dr. Ball witnessed), despite its pseudoscientific basis. Perhaps it just fit certain political agendas too well, or perhaps “elites” aren’t what they once were. In any case, it’s an object lesson in what happens when the “elites” don’t do their damn job! Now back to my question about Velikovsky and Jupiter. It was a genuine request for information from someone who I thought might know the answer, and had nothing to do with Dr. Ball’s theme. If you know the answer, or have a good reference, I’d be grateful for your insight. If you don’t know, thanks anyway. I will not write about V again. Could you at least say if you do think any of his conjectures are plausible? You say that you are not pushing Velikovsky, but I don’t know if that means you think he was completely wrong but unfairly treated, or if you think he was possibly correct. Periodic close contacts with a cometary Venus (which had been ejected from Jupiter) had caused the Exodus events (c.1500 BCE) and Joshua’s subsequent “sun standing still” incident. Do you regard any of these as plausible or possible? I tried to ask this question before, but either I didn’t send it correctly or it’s been held up in a spam filter. Tim Ball, could you say whether you think there is any possibility of any of Velikovsky’s conjectures being correct? By conjectures I’m not referring to predictions about how hot Venus would be, but his central claims, such as Venus stopping the Earth from spinning, or that the flood was caused by Saturn entering a nova state. V’s work product in the mid 20th century has since been used as a benchmark example of differentiating what is science from what is a mimicking of science. V’s example has in that sense added to the scientific community understanding of how to demarcate what is science. I am not a fan of psychoanalytical archaeology or V.. Always check what the myths say from primary or good secondary sources. People should be wary and would do well never take what a Vkovskian says the myths and sacred texts say at face value. Read them yourself. But, I will buy a Josh calender for anyone who posts a list of all the instances of planetary migration, capture, and orbital changes now accepted into celestial mechanics for our solar system–and for the exoplanets. It was for changes in planetary orbits and for capture that V was really vilified. Now changing orbits are regular astronomical fare, and are used to explain all kinds of retrograde spins and orbits, and for gas giants that are either too close or too far from their primary stars. No orbit anywhere is ever repeated exactly. The moon never has the same perigee or apogee twice. Min and max can be calculated for specified time frames only. A max apogee for a thousand years out will be beat 5 thousand years out. The moon was close to the earth once — 4 billion years ago.